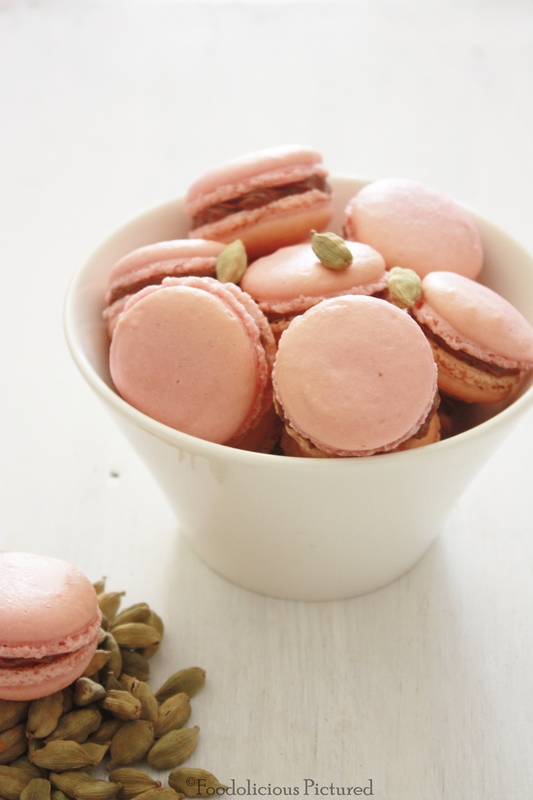 My love for Macarons is well-documented in many of my previous posts. I am still not tired of it and the excitement stays on for every new flavor I try. This time I experimented with the earthy and aromatic flavor of cardamom. The sweetness of the chocolate ganache filling and the mild flavors of cardamom blended in perfect harmony to create a delightful treat! In food processor, process the almond flour, cardamom powder and icing sugar. Sift the mixture in sieve twice discarding any almond lumps that are too big to pass through the sieve. Whisk the egg whites in clean dry bowl (no trace of water please) till soft peaks are formed. Add the caster sugar, and beat on a low speed. Once combined increase the speed to high and whisk till glossy and stiff peaks are formed (For me, it took 5 minutes on stand mixer on a high speed). Add the food color and beat for 25-30 seconds. Please make sure not to over beat the egg whites. Transfer the batter to a pastry bag fitted with a 1/2-inch plain round tip. On a parchment-lined baking sheet or Macaron mat and pipe the ¾ inch rounds leaving 1-2 inch gap between each piping. Drag the pastry tip to the side of rounds rather than forming peaks. Tap bottom of each sheet on work surface to release trapped air. When fully cooled, Sandwich 2 same size macarons with the filling of your choice. Heat cream in saucepan over medium-low heat until it comes to a boil. 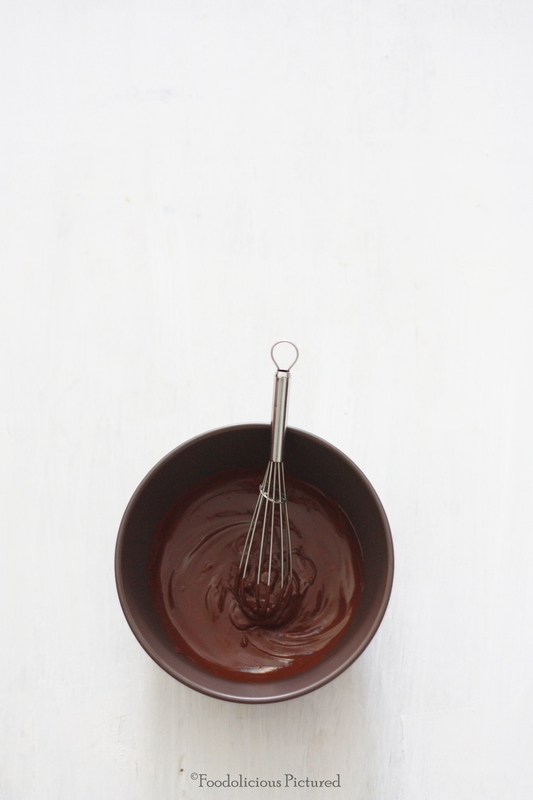 Turn off the heat and add the chocolate and use a spatula or wooden spoon stir in a circular motion from the center of the bowl until the chocolate and cream comes together into a smooth emulsion. Add the butter and essence and stir will. Let it cool at room temperature and the in fridge until firm enough to pipe. Another macaron hit from the queen of macarons!! !So many varieties of macarons to choose from your space dear…and here you leave me confused now as to which one to make!! !or rather I’ll just grab some from youu!!! love the addition of cardamoms! Hahaha me n my spices 😉 thank you Jeh! 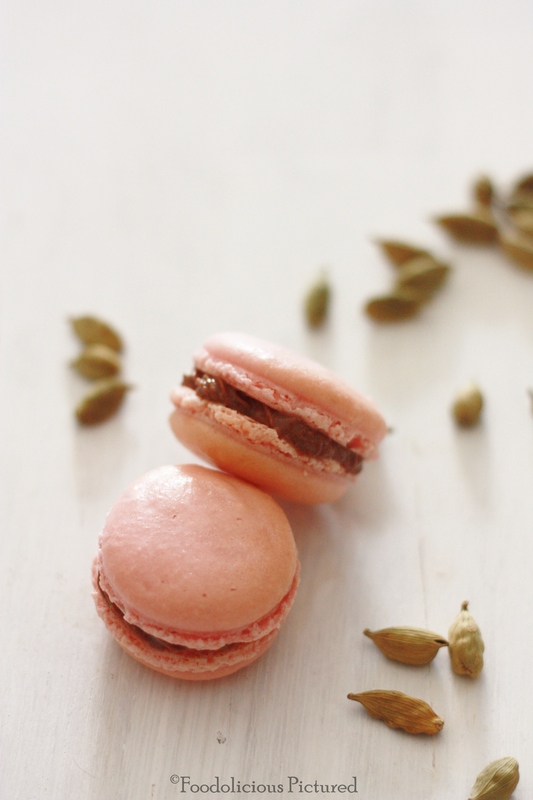 Lovely pictures Rekha , and yes Macaroons are always a delight to make ! 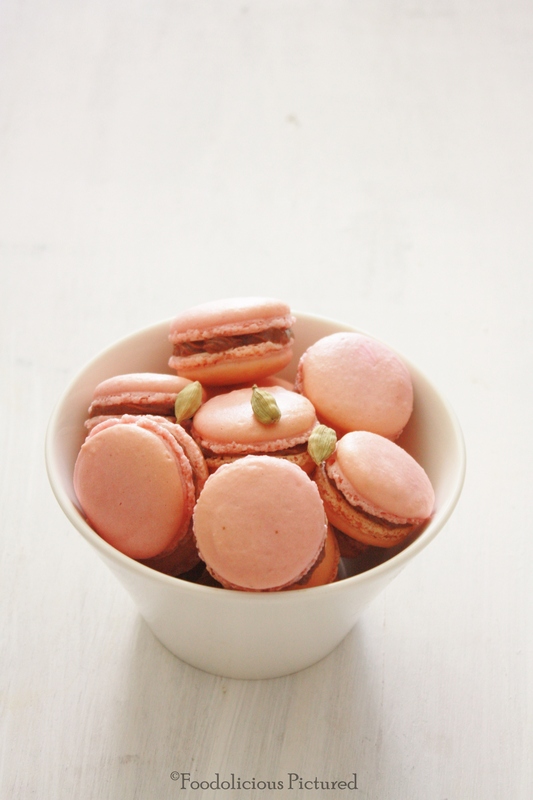 Adipoli caradamom macarons Rekha, Love it, Pinning it. 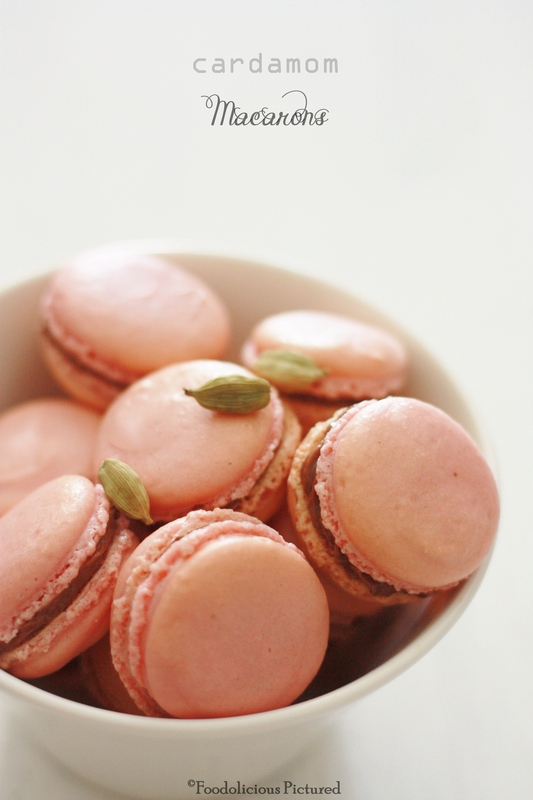 U are such an expert in making macarons Reks love it everytiime. Looks delicious:-) will bookmark it. Another of your gorgeous creation and what a novel flavor. Totally loving it.